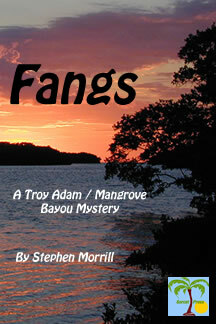 Mangrove Bayou is a small gulf coast Florida town located someplace south of Naples and east of the Moon and in the midst of the Ten Thousand Islands / Everglades National Park region. 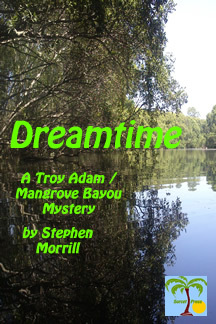 Troy Adam is police chief and head of a small department. 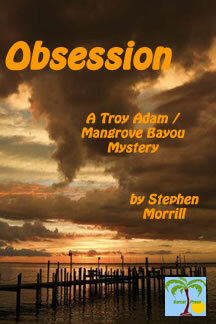 For such a small and remote town, Mangrove Bayou seems to be a hotbed of crime, both major and trivial. Troy and his small band of officers deal with it all, assisted or hindered by a collection of residents who redefine the term character. 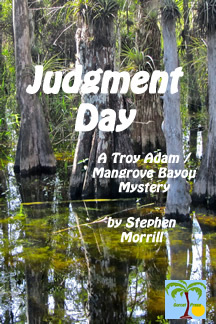 Stephen Morrill writes about Mangrove Bayou in a series of police procedural mystery novels with a twist, as the Mangrove Bayou police force is small and the location remote. 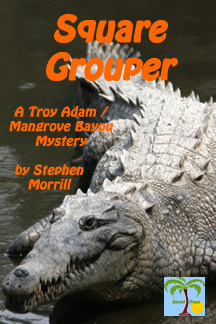 The books combine humor, weird characters, occasional social commentary, and serious police work, all taking place in a unique setting. Try before you buy! 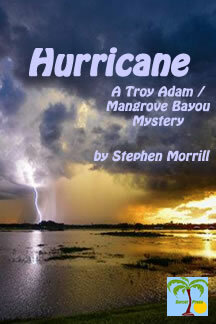 Read samples from the Mangrove Bayou / Troy Adam police procedural mystery novels set in southwest Florida. It's not necessary to read the books in order but there are some minor story lines that run through them. Read. Enjoy. Buy. Enjoy more. there is no need to read the books in order. Available in e-book from Sorcet Press.